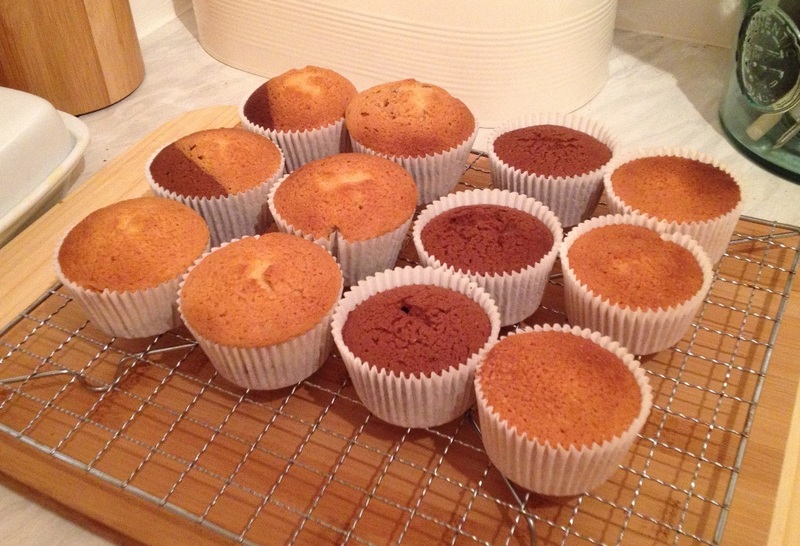 I’ve been baking muffins this evening; I find baking very therapeutic and meditative. The fact that at the end of the process you have lovely yummy cakes to eat is an added bonus to the sense of peace and tranquillity that the act of baking brings. Anyway I thought it would be nice to blog my recipe in case any of you would like to re-create them and maybe get a slice baking tranquillity too. 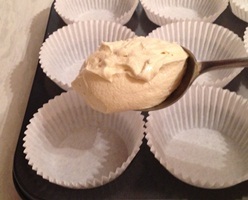 Actually this recipe is my multi-purpose sponge recipe, which is good for Muffin’s fairy cakes, Victoria sponge or a drizzle cake, so feel free to experiment . Pre-heat your oven to 180 degrees centigrade and make sure the top shelf is fairly high in the oven, but with enough room to get your muffin tray in and out. Weigh your eggs and then your flour, margarine and caster sugar amounts should be exactly the same. 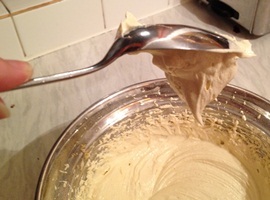 Whisk together your margarine and caster sugar for approximately 3-5 minutes or until the mixture is a pale yellow. 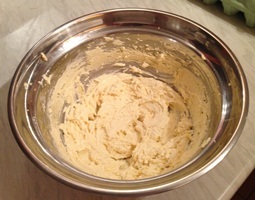 Sieve the flour into your bowl of margarine and caster sugar. 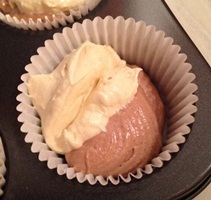 If you are making chocolate flavour muffins sieve in your cocoa powder at the same time. Add in the rest of your ingredients (baking powder, vanilla essence and eggs). Gently whisk together the ingredient working in the contents from the edges. 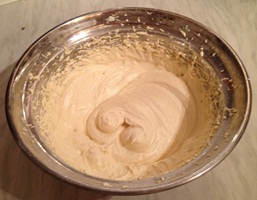 Once the flour is all mixed in increase the electric whisk to the maximum speed and work air into the mixture for approximately 3 to 5 minutes until the colour of the mixture has turned pale and the volume of the mixture has increased by about one third. You’ll know that the mix is ready if when you put a spoon in you can turn the spoon upside down and the mixture slowly drops off the spoon. 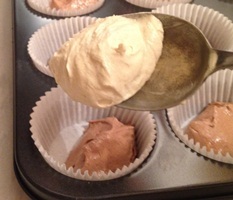 Put some muffin cases into your muffin tray and spoon out a heaped spoonful of cake mix into each of the muffin cases. If you are making half and half (chocolate and vanilla) or marble cakes (chocolate and vanilla swirled) only spoon in half a spoon of each flavour. 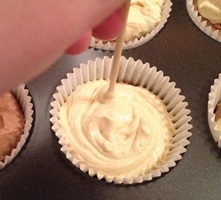 To make a marble effect use a wooden skewer to lightly mix together the two flavours before you put the muffins in the oven. Put the muffins in the pre-heated oven (180 degrees centigrade) for 15 mins and then turn them around and give them another 5 minutes cooking. Lightly press the top of a muffin with your thumb to see if it springs back , if yes the cakes are ready to be turned out onto the cooling tray, if not give them another few minutes in the oven and then test again, but be careful not to over cook or check on them too often. Once your muffins are cooked turned them out onto the cooling rack and make sure you as baker supreme, scoff a nice hot one, it’s the muffin baking golden rule! I hope you enjoy baking and of course eating your Muffins! 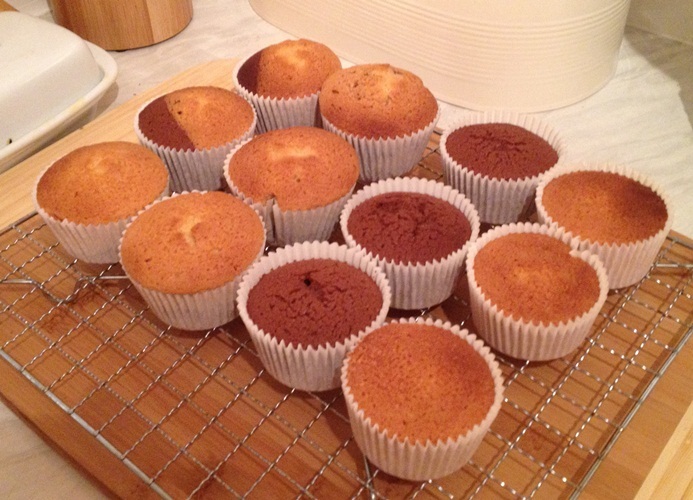 This entry was posted in My Blog, Other and tagged cake, cake recipe, cakes, muffin, muffin cakes, muffin recipe, muffins, ruth weal, sponge cake, sponge cake recipe, victoria sponge cake recipe, wealie, wealie nice muffins. Bookmark the permalink.